Lamela Deal is Done! Eriksen Next? As posted earlier, Tottenham and AS Roma, have agreed a deal for 21 year old wonderboy Erik Lamela. €30m + €5m add ons. The big question now is, who will be next? There have been rumours that Franco Baldini flew in to Amsterdam today with Daniel Levy, to discuss a deal for Ajax star Christian Eriksen. Spurs have offered €8.5 m for the Danish playmaker, who has less than a year left on his contract, with the Amsterdam club. Ajax have an asking price of €15 m, but with such a short amount of time left on his contract, maybe our new best friend Daniel Levy, can work his magic, and get the Danish star, for a bargain price. This being without a doubt, a transfer window that any major club will envy. The leadership of AVB, that’s finally getting his second season in the same club, will really show how the Spurs Will Go Marching In! But if not Eriksen, who would you like to be Spurs next signing? Mata? Hulk? Leave your comment below!! ‘New Dunga’ Deal Complete ….. Lets Take A Closer Look. Well, considering our lack of activity so far in the transfer market I’ve decided to take a closer look at one player we have actually signed – labelled by some as ‘The new Dunga’ ….. Sandro Ranieri Guimarães Cordeiro. It might be a while until we actually see Sandro in the famous Lillywhite shirt so to tide us over until then I’ve pooled together a few facts and put together a short video showcasing the players abilities. Born on 15th March 1989, Sandro was a graduate of Internacional’s youth academy in Brazil. 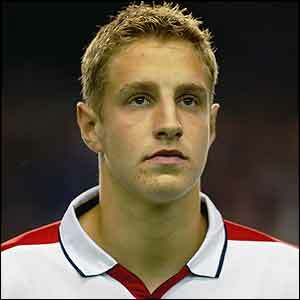 He signed his first professional contract and began his senior career in 2007 as an 18 year old. A defensive midfielder by trade, Sandro likes to get forward and involved in attacking play as often as possible, a typical Brazillian trait. At just shy of 6’2″ Sandro is a real presence on field and should compliment the current crop of midfield players Harry Redknapp currently has at his disposal. Sandro will join up with his new teammates at the end of Internacional’s Copa Libertadores campaign, however you would imagine he would be in need of a rest at the end of a long season and time to settle in so don’t expect to see him much before christmas ….. if we’re lucky! When the news of the transfer to England broke Sandro said Spurs are “a great fit for me” and that “a club that is growing every year makes it the ideal club for me”. At international level he has captained his country at Under – 20 level and led them into the 2009 South American Youth Championships. He made his full international debut against Chile in a World Cup qualifier on 9th September 2009 and was unlucky to miss out on a squad place in Dunga’s 23 for the 2010 World Cup in South Africa, named as 1 of 7 backup players. Why Tottenham Could Have Made Huge Mistake And May Pay The Price…. Harry Redknapp, that’s why. No not in appointing him but by stalling his contract talks, as soon as we finished 4th they should have tied him down to a new contract as soon as possible but they didn’t and now it could turn out to be a huge mistake. England’s awful display at the World Cup has cast doubt over the future of Fabio Capello. Now we have heard the rumors that Redknapp and Hodgson are the front runners for the job. Both managers have stated that they would not be able to turn down the chance to manage their country and with both managers heading towards the back end of their careers can you really blame them?. 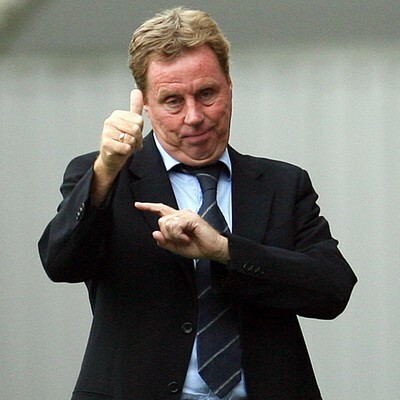 Spurs failed to sit down with Harry and offer him a deal to keep him at the the club, so when you consider how much compensation would be due to Capello if he was sacked, how appealing does getting Redknapp in on the cheap look for the FA. With only 1 year left on his contract the FA could take Harry and pay us peanuts, however if we had been sensible and tied him down to a 4 year contract and the worse was to happen then we could expect some big compensation. Now Harry knows there is possibly a chance to manage England just around the corner do you really think he will want to start talks over a new contract now? because I don’t. I can’t for the life of me figure out why the man was not offered a new contract, he has performed a miracle at the club and we have the audacity to mess him about by making him wait for a new contract when he has stated he loves it at Spurs and wants to stay. I for one will be praying that Capello keeps his job for the sake of us Spurs fans or we could face losing our “Arry” on the cheap and then having to find the cash to buy out the contract of our next manager. Now don’t panic just yet, this is just speculation but if the FA make their move then Harry would take the job and get only pennies in return. The Football Association must be rubbing their hands together at the mouthwatering prospect at getting a highly respected English manager for what might as well be a free transfer. Levy hasn’t done much wrong recently but this could prove to be his biggest blunder to date, what were they thinking, what more does Harry have to do to be made to feel wanted by the club? So take note people, before you start shouting “Capello out” be careful what you wish for. He showed why he should have been in the England team in the first place, he’s Jermain Defoe. It’s about time, Defoe might not touch the ball a lot during the 90mins but what he does give is the constant threat. The opposition defenders always have to be on guard when up against Defoe because of his blistering pace. Defoe will play off the shoulder and cause any defence havoc. Up next it’s the Germans, sure we can play Heskey…. if we want to go out. We all know Rooney likes playing up front with Heskey, but why should Rooney get to decide who he plays with when Defoe is more likely to get a goal than both of them put together?. For reasons I can’t understand, Heskey seems to be in front of Peter Crouch in the pecking order. I’ve heard people say this is because Crouch doesn’t deliver agaisnt the big teams, well thats because he always gets dropped even though his goal to game record speaks for itself, and can you seriously tell me that Heskey delivers in any game?. Seriously there is more chance of a goal if he put Rob Green up front. Today agaisnt Slovenia he Capello brought Heskey on again and it looked like he had been told to help the back four defend, if that was the case why the hell didn’t he just bring Dawson on? I can’t understand for the life of me what is so special with Emile Heskey, can somebody help me out with that one?. Anyway I was much impressed with the England performance and attitude today, the lads kept going for goal untill the final whistle. To me the formation was the main reason because if the manager sets out a positive formation the players think positive. I feel sorry for the England team because the pressure this country and the press put on these boys shoulders is second to none. I am confident the players will up their game agaisnt the Germans in the last 16, let’s just hope they practice penalties, and if it does come down to penalties once again, would Defoe fancy having a go?. He told Sky Sports News “definately” but us Spurs fans know all too well that Defoe although always confident from the spot,doesn’t have the greatest record. Back to Defoe, I am so chuffed for him, he has deserved this moment, after being dropped at the last minute for Euro 2004 and World Cup 2006, he must have thought he would never get his chance. To his credit he has kept doing the business for Tottenham and Portsmouth and scored a few important goals for England along the way. He is prone to a dip in form every few months but drop him at your peril because whenever he is on the pitch he is a goal threat and the opposing defenders know that, he causes them to have to play deep through the threat of his pace. Is There A World Cup On? Apparently so, however you could be forgiven for thinking any different. Maybe it’s just England fans that feel like this because of our poor efforts so far but for me I just haven’t been able to get excited in any way about the World Cup yet, it doesn’t feel like World Cup time for me yet. Let’s talk about last nights England v Algeria game (yes it really did happen), what the hell happend there?. Well I said in an earlier blog that Capello likes to play safe and picks his team based on experience over form,yesterday was a classic example by giving Carragher the nod over Dawson. For me he got it wrong when he put Gerrard on the left to bring back Gareth Barry, that is negative move number one because Gerrard is not a left midfielder and it showed. Negative move number two? well I would say it was picking Emile Heskey because Rooney wants to play with him up top. I wouldn’t have a problem with Heskey playing if he was either in form or if he was any good in the first place. The trouble with this scenario is that he is played to help Rooney out and when Rooney like last night has a nightmare game then there is nobody up front to score the goals. England actually looked more dangerous when Defoe came on but it was too little too late, this is the change that should have happend at half time because 0-0 at half time with Algeria is bad enough. Peter Crouch was given 6 minutes to change the game, please tell me, what is somebody supposed to do in 6 mins?. I see Rob Green lost his place to David James and destroyed any confidence left that Green might have had, I wonder if he will drop Rooney,Gerrard,Lampard,Heskey next because Green lost his place for not doing his job so what is the difference?. I did laugh though when I saw the most pointless substituion I have ever seen in my life, when England wanted to change the game and really go for it we decided to swap a right winger for…………… another right winger!. Yes I was just as suprised as anyone that it wasn’t Joe Cole being brought on for Barry or Defoe for Heskey but it was Wright-Phillips who came on for Aaron Lennon. It’s almost like Capello has his untouchables and no matter how poor they are won’t ever get substituted. Could somebody please tell Capello that there are different formations he can try if 4-4-2 isn’t working out, it’s like he has been told if he breaks the 4-4-2 he will be shot. I don’t really like to jump on the England bandwagon and I’m still as patriotic as anyone and really hope we get through but can we really defend the team so far?. I think some of the teams players are too big for their boots, they believe all the hype that they hear because they are some of the top Premiership players. The newspapers today are dominated by Rooney having a go at the fans for getting on the backs of the players, Rooney reckons the fans have no right to boo, I am sorry Wayne but when people have saved up all year and spent thousands of pounds to watch England play like that then they have every right to boo. I’m sure Rooney would want the fans to cheer if England lifted the World Cup, so he has to know that you take the rough with the smooth. I hope that come Wednesday Capello doesn’t stick with what has failed him so far this tournament and has the guts to make a few changes. We are supposed to be England, one of the favourites, so why when we play the teams like USA, Algeria and next up Slovenia do we play negative tactics. We should go out there with the mentality of the Brazilians which is play to our strengths and not the oppositions. Why bring in a holding midfielder like Barry when we could play the likes of Joe Cole, and why play Heskey when we could play Defoe or Crouch. These teams are ranked way below us so we should take the game to them, whenever I see an England team sheet all I see is fear, fear of not wanting to get beat rather than a team that is set out to take the game to the opposition and go for the win. Where is the passion lads, are the days or passion players like Gascoigne in 1990 and Beckham in 2002 long gone? I thought Rooney would install some passion in the side but so far I couldn’t be more wrong. Wednesday is make or break, if we don’t win we are going home, but for me it doesn’t feel like its even started yet. If England were to be flying home next week then i’m sure this could end up being the World Cup that people forgot. I take heart from the fact that in 2006,Italy didn’t set the tourament on fire with their football but ended up lifting the cup, yes I know its wishful thinking but England can’t keep on letting us down. One more point I would like to make is that the current squad of players are known as the golden generation, can someone explain to me why this is?. The golden generation, what on earth earns them that title? they have never got past a quater final of a major competition but somehow they get dubbed the gold generation, don’t make me laugh. This does just go to show that for all their faults the media really don’t help the players out. Right now all I am thinking is if England are coming home next week who cares because Tottenham have a Champions League game coming up and I can bet my life they show more heart in that one match than England have and will in this World Cup. Would love to hear whether you readers think i’m harsh or if you agree with some of my comments, remember as I said I am not agaisnt the England players and I support them more than anyone, but you can’t defend 2 performances like that and someone needs to give the players a wake up call. This is aWorld Cup and if you ask me, if we don’t get out of the group it will be worse than when we didn’t qualify for Euro 2008. I hope Wednesday is when the World Cup comes to life for us, and not the start of us trying to forget a shameful attempt. However if England score and the fans celebrate like mad I will think to myself “is this what it has come down to, having to celebrate like crazy because we score against like Slovenia”, when for me we should never have even been in this position. The thing is I am confident if we get out of the group stages then the boys would do us proud in later rounds untill we are inevitably knocked out, my only worry is I am not confident we will be getting out of the group. Slovenia will be harder to break down that the previous games because they know a result of any kind for them will be enough to send them through. Would love to hear whether you readers think i’m harsh or if you agree with some of my comments, remember as I said I am not agaisnt the England players and I support them more than anyone, but you can’t defend 2 performances like that and someone needs to give the players a wake up call. 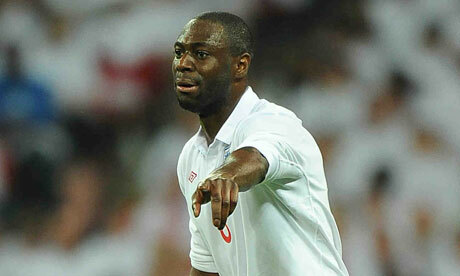 Step up Ledley King, as we all know the England and Tottenham center half is likely to be out for the next 3 weeks. How does this rate on the luck scale? well when you consider Ledley last played a major tournament for England in Euro 2004 but had to fly home during the group stages after an impressive performance agaisnt France due to the birth of his first child (Yes it was a bit awful timing but it showed Ledley to be the true decent,honest and loyal man he is). I’d say his luck is off the scale. Since 2004, Ledley has been plagued by his mysterious knee injury which prevents him training with the rest of the team. After each match his knee swells up and he is in pain for a few days. On average now if other injuries permit he can manage 1 game a week for Tottenham. The most amazing part of this story is the fact that Ledley is still one of the best defenders in the Premier League, he was instrumental in Tottenham finishing in the top 4 for the first time this season. King picked up a groin injury agaisnt USA in Englands World Cup opening match, a scan has revealed a tear which is likley to mean 3 weeks out for Ledley and probably the end of his tournament. He has had the worst luck in football from a personal point of view in the last 5 years, god only knows how good he could have been if he wasn’t cursed with a crocked knee. Harry Redknapp himself even says it would be scary to think just how good this guy could be because he is one of the best defenders around and doesn’t even train. It defies all logic. It is a shame but I am glad his talent has been seen by Capello and he got his chance, I just hope that Dawson is the man to replace him although somehow I doubt it. All Spurs fans know just how good King and Dawson are and could do a job for England. The only thing that bugs me is all the non Tottenham fans coming out and saying this just proves that Ledley should never have gone to South Africa. Do they even know that this is a completely new injury that King has picked up? do they even care? No!, they just jump on the Ledley King bandwagon. Let me tell you that if Ledders had managed to keep himself fit all his career I would bet my life he would have been England captain, he has the attitude,ability and character. When it comes to football I declare Ledley King the unluckiest man in recent times, but maybe it is a blessing in disguise because if he had kept fit would he still be a Tottenham player? my heart says yes but who knows what big offers would have come in for him. David Bentley admits he remains uncertain as to whether he will still be at Tottenham next season. The 25-year-old winger has struggled to make the desired impact at White Hart Lane since making a big-money move from Blackburn in 2008. First-team opportunities have been sporadic, with Bentley unable to hold down a regular role. That proved to be the case again last season, with Spurs boss Harry Redknapp awarding him just 12 Premier League outings. A lack of action has led to speculation regarding his future, with some suggesting he would be wise to move on. Bentley, though, insists he remains committed to the Tottenham cause and will be doing his utmost during pre-season to force his way into the fold. “Hopefully I will get fit and as strong as possible and look to have another good season,” he told Sky Sports News. Bentley is keen to remain in north London, with Tottenham preparing to enter the Uefa Champions League next season. The opportunity to appear in Europe’s premier club competition certainly appeals to Bentley, but he accepts that competition for places remains fierce. He is currently battling with England international Aaron Lennon for a right-wing berth and knows he may be forced to settle for a place on the bench at times. “I think when you are at a top club that’s what happens,” he said. Judging by his comments here it seems to me as though he would like to stay and would be happy with next seasons squad rotation system. I for one have grown to like Bentley more and more last season, he done a good job when Lennon was injured and I believe he brings good team spirit in the dressing room. Next season we will need a squad of talent and not just our first 11. Lennon isn’t going to be able to play midweek and then again on a saturday all season long and who better to have fill in on the right than Bentley? What do you guys think? do you like the idea of him staying or do you want shot of him? Tonight will see the 3 lions kick off their World Cup 2010 campaign agaisnt the USA, now most people are thinking that the USA could very well be capable of causing an upset tonight, but not me, and why?. Simple because for the same reason Tottenham finished in the top 4 of the Premier League last season, and that reason is “WE’VE GOT LEDLEY AT THE BACK”. If you want my opinion I think Rio Ferdinand’s injury could turn out to be a blessing for England, not only do I think Rio was lacking in fitness but also he hadn’t had the best of seasons. The only scenario that could have been better would have been if it happend to John Terry instead and then Wayne Bridge could have been called up too. But we can’t have it all and it looks like tonight that Ledley will get the nod to partner John Terry at the back. Ledley didn’t have the best game agaisnt Mexico the other week but let’s take into account it was his first England game for 3 years. I know the ability Ledley has and tonight he will prove me right, in Euro 2004 he was thrown in at the deep end and even though we lost to France in the last minute, Ledley didn’t put a foot wrong for the whole 90 mins. He had to then leave the tournament due to the birth of his first child. As a Spurs fan I would love to see Dawson given a chance at some stage in the tournament over Carragher and Upson who again haven’t had the best of seasons with their respective clubs. Dawson and Ledley at the back for England would bring a tear of joy to my eyes. I think it is such a shame about the injury that has plagued King for the past few years now, I think had he not had this curse then he would be England captain, all you have to do is look at his ability and reputation and the fact that Tottenham are a different side when he plays to know he holds all the key attributes to be a captain, this might sound biased and probably is but i’ve seen it week in week out for Tottenham. Let us all remember when Thierry Henry said he felt King was the best defender he had ever come up against. He said: “I don’t like defenders who hold the shirts of other players. The only defender here who doesn’t do that and sometimes still gets the ball off my feet easily is Ledley King. “He is the only guy who doesn’t hold players. He will get the ball off you without you even noticing. For me, that is a good defender. Now this is coming from a Thierry Henry who was in his peak and the best player in England at the time of his comments. So tonight I am confident of a solid England back line with King and Terry at the back, I am also hoping Capello makes the right choice and starts Aaron Lennon on the right wing and lets him do what he does best. Like the rest of you I will be hoping all of the Tottenham boys do well and bring the cup home for England so we can tell all the Gooners how Tottenham won the World Cup in 2010. Come on England!! Squad News Comments Off on Dawson Handed Second Chance!!! Well I thought Tottenham centre half Michael Dawson was probably the most unluckiest player to miss out on Capello’s final 23 for the World Cup. He had a solid season and lost out on his place for the likes of Upson and Carragher who got in on reputation alone. However today justice has been served but fate played a cruel trick on England captain Rio Ferdinand as he was today ruled out through injury. This is terrible news for England but for me as a Tottenham fan I was delighted to learn that Dawson had now been called back into the England team. Now I personally would hope it was any other defender except Ferdinand but to see Dawson get what he should have righfully had in the first place is great. Fabio Capello now has a major headache, surely if he has any sense he will put Ledley at the heart of the defense now Rio is out, but I have that sickening feeling he will pick Carragher. If England don’t opt for King and Terry,King and Dawson or at the very least King and Carragher as partnerships, they have no chance. At all costs I would keep Upson out of the team, I think he is a good defender but not better than any of the others and certainly is no world cup winner. Lets hope Capello knows his stuff and earns his Spurs by putting his faith in Dawson if Ledley has to miss one or two of the games through his knee injury. I know that dawson wouldn’t let our nation down because I see him week in week out and know that he is just as good as John Terry based on this season. It’s time for the England team to stop being picked on reputation and to be picked on form alone, players have to stop living off their past reputations and earn all their caps. Michael Dawson and Ledley King , all us Spurs fans know you can do it, lets just hope for the sake of our nation you are given the chance. Before anyone jumps to any conclusions, let me make it clear that I fully intend on supporting the Three Lions all summer long. Furthermore, Michael Carrick and Ledley King rank quite high on my list of favorite players. After yesterday’s announcement of England’s World Cup squad, however, I couldn’t help but have a bitter taste in my mouth. When Fabio Capello took over the England hotseat, he made it clear that he’d pick players based on form. The Italian made it a point that he’d select the players that were at the peak of their powers on the club scene, prompting players like David Beckham to forgo their summer vacations simply to prove their worthiness to Capello. In the end, Capello picked the 23 men that he initially had in mind (a fact that even he admitted). The fact that Jamie Carragher was even asked to reverse his international retirement proves that Capello had his sights set on certain players from day one – regardless of how slow they are as they reach the end of their careers and regardless of how poorly they performed for their clubs this season (remember, Carragher’s Liverpool containing the likes of Steven Gerrard, Fernando Torres, and Pepe Reina couldn’t even qualify for the Champions League). In addition to Carragher, the inclusion of Matthew Upson proves that club form was no determining factor. Upson was included at the expense of one of the Premier League’s most consistent top performers: Michael Dawson. Dawson, even more so than the often-injured Ledley King, was instrumental in Tottenham’s historic run into the top four. Even in midfield, it was all about names and not about form. The biggest surprise was that Fabio Capello sent two of his trickiest and fastest wingers packing: Adam Johnson and Theo Walcott. Who remained in their place? None other than Manchester City benchwarmer – and Adam Johnson’s club backup – Shaun Wright-Phillips. The wee man couldn’t hold down a spot at the club level, but Fabio Capello opted for him over two stars just entering the brightest years of their careers. Up top, the most heinous crime committed by Capello is his decision to leave Darren Bent at home this summer. The Sunderland striker was by far the most in form striker all season long (taking Wayne Rooney’s late season injury problems into account), and has been banging in the Premier League goals for a few seasons in a row now – all while playing for a mediocre Sunderland side. Bent deserves his place in South Africa undoubtedly, but Capello oddly enough opted for yet another player who doesn’t even start at the club level: Emile Heskey of Aston Villa. Far too many Villa fans have even pondered how their slow and aging striker found his name on the final 23. 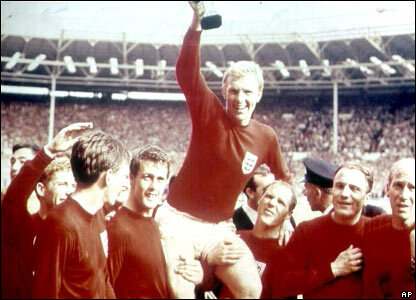 Don’t get me wrong: I’d be absolutely delighted if England win the World Cup. Like many other fans of the Three Lions, I wasn’t even alive in 1966 to watch Sir Bobby Charlton and company take the world by storm. In fact, the effects of that England team will be felt for many years to come, and when I met Sir Bobby outside of Old Trafford two years ago you could just feel his legend status. Fabio Capello and his team of 23 now have a chance to cement their own spots in English folklore, and while I disagree with some of the squad choices, I fully intend on throwing all of my support behind the heroes representing England this summer. England needs more than a prayer and a little bit of luck – they need their millions of fans worldwide to provide continued unwavering support. Well as I predicted in a recent post here it looks like the 2 unlucky Spurs players to miss out were in fact Dawson and Huddlestone. It looks as though Capello has opted for experience over form,as Upson and Carragher made it into the squad over Dawson despite Dawson having a better season. Carrick made it in over Huddlestone, despite Huddlestone having a better season. Other players to miss out were Theo Walcott, Darren Bent, Scott Parker, Adam Johnson and suprisingly Leighton Baines. Tottenham will still have 4 players representing them in the England team in Defoe,King,Lennon and Crouch. There were doubts over King would make the cut due to his fitness but personally I dont think his place was ever in question, every England manager has noticed the talents of Ledley and worked hard to get him into the England set up and when he has played he never let them down. For the likes of Huddlestone and Dawson, maybe not this time but i’m sure they have plenty of caps to come in the future.